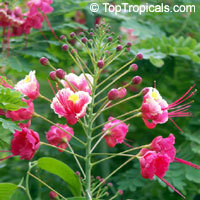 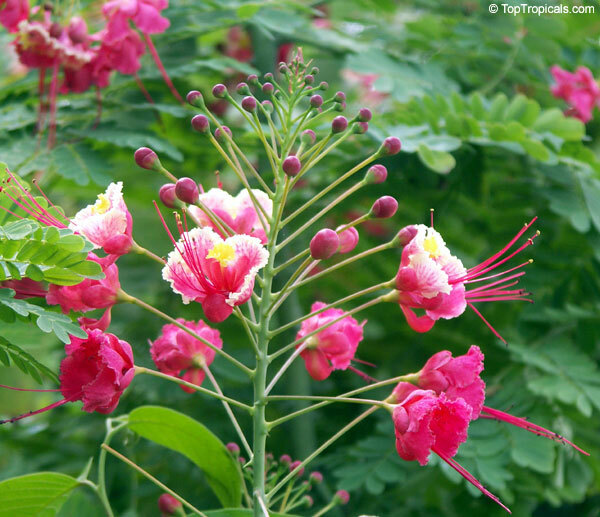 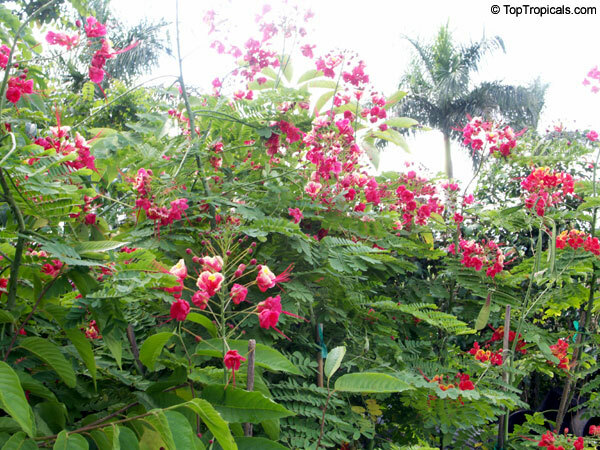 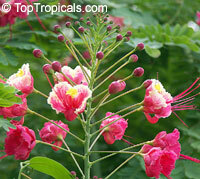 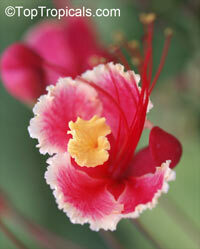 The National Flower of Barbados. It appears on the Barbados Coat of Arms. 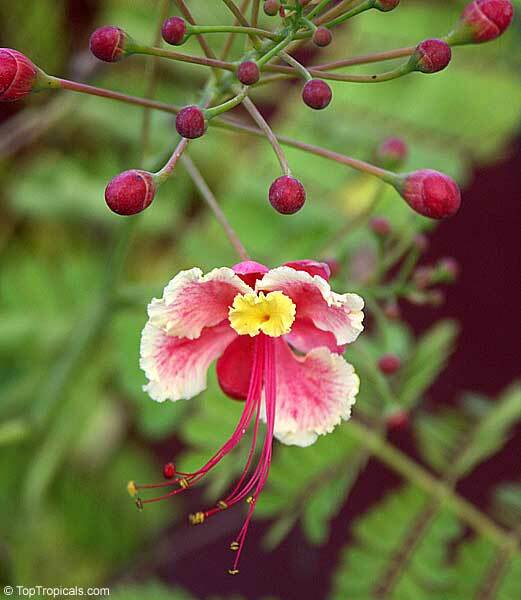 References to this flower were recorded as early as 1657. 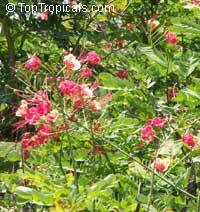 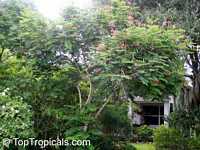 It is a shrub and is often pruned into a low hedge. 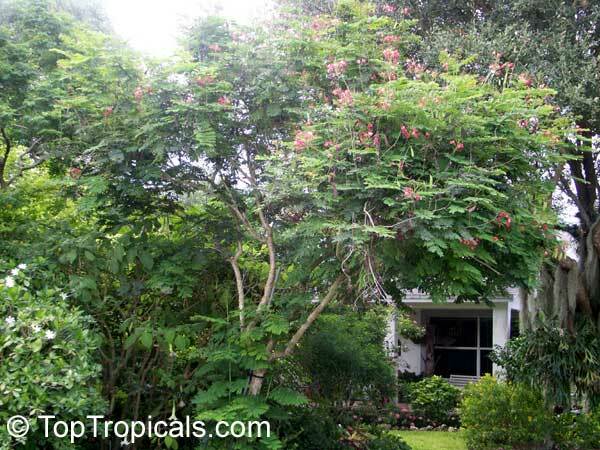 If untrimmed it grows to a height of 10 to 15 feet. 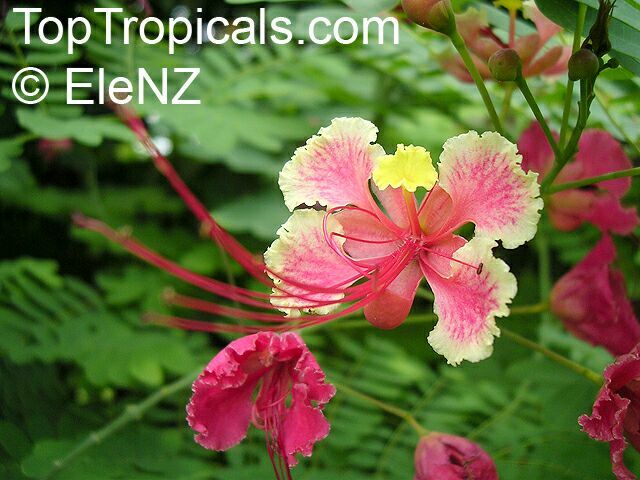 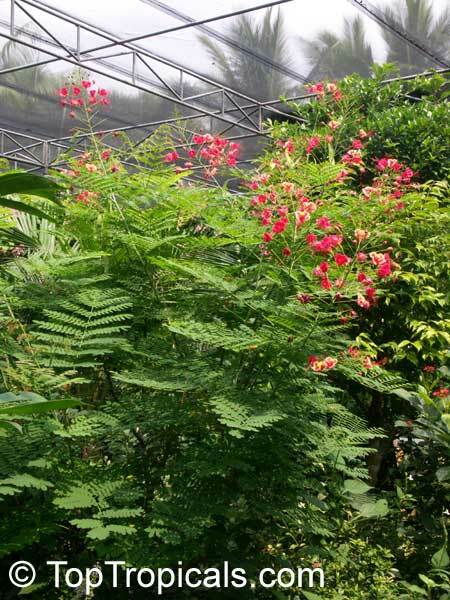 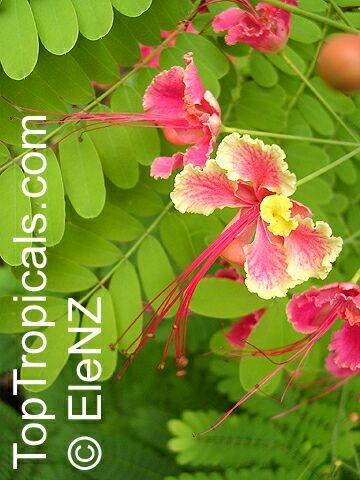 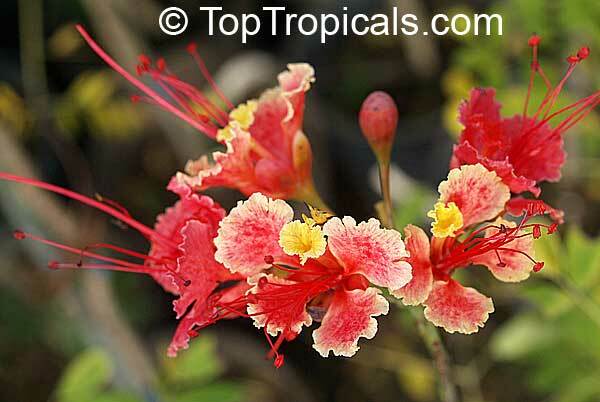 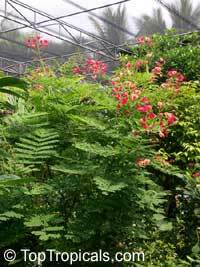 The Pride of Barbados blooms all year round, the more common varieties of caesalpinia are a fiery red and yellow "sunset color" although other variations can be found. 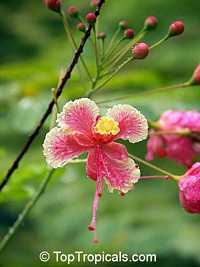 The flower has five petals with a yellow margin in a pyramidal inflorescence. 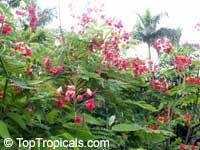 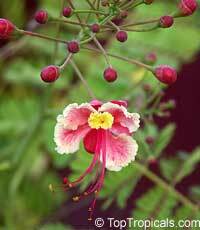 Each flower is about 1.5 inches across with five sepals. 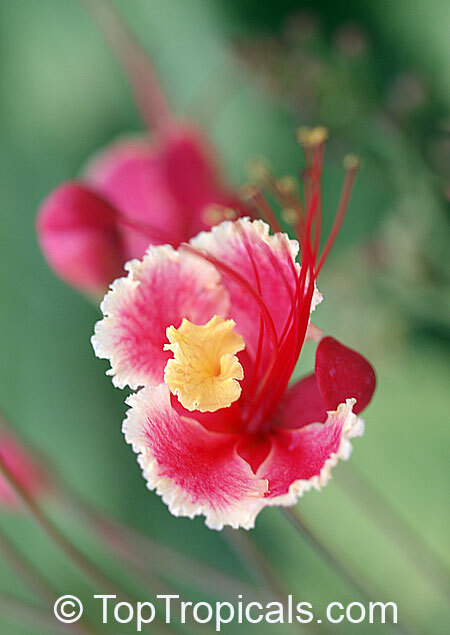 The ten stamens are long and the pistils project from the center of the flower. The fifth petal is far smaller than the other four. The stamens have colored filaments with anthers at the tips however, the eleventh filament bears a stigma and is the style. 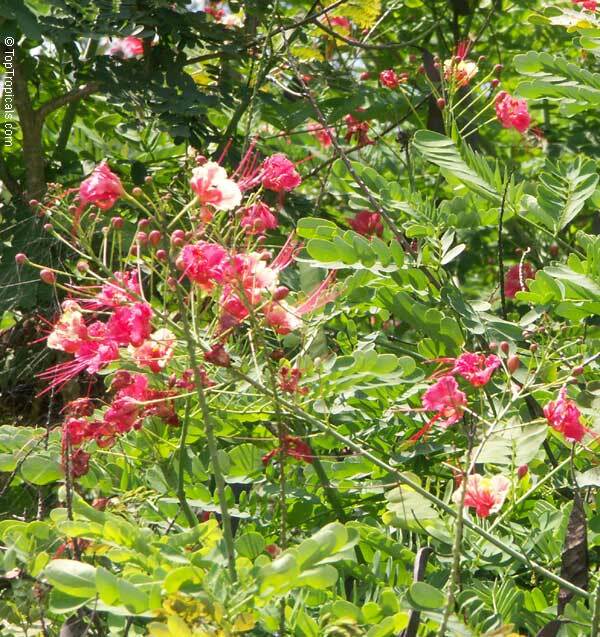 The branches a prickly and the leaves are large and doubly compound about one foot long and six inches wide with many small leaflets.